Is there really an algorithmic fix for Facebook's problems? I can’t remember the last time I had a meaningful interaction on Facebook. Messenger, sure - if a friend cannot be contacted in any other way, I may resort to Facebook’s relatively uncluttered instant chat service. But within the News Feed, that once-so-alluring torrent of thoughts, feelings, comment and action that had made the early years of Facebook so addictive and seemingly revolutionary? That’s gone. That’s dead. In 2016 it made behind-the-scenes changes that were designed to favor posts from pals over publishers and pages owned by businesses. And before that, in 2015, when fan pages for all manner of things were becoming increasingly pushy on Facebook, it cut the reach of those encroaching elements too. Multiple times over the years then it claims to have addressed the balance of its News Feed scroll, between its business needs and the online relationships you now have with your real-world friends. Look back to 2013 for the first major Facebook overhaul, a time where we all feared that a change to its lightning-in-a-bottle alchemy would ruin its ability to support real world friendships. We were right, and as a result, from once fearing News Feed changes, we now desperately desire them, in an attempt to restore some faith in its ability to enrich the relationships it once elevated. Facebook has a broken image of what I personally want to see, and thus who I truly am. These are the very relationships that Facebook has, knowingly or otherwise, disfigured, eroding the physical, in-depth conversations and meetings that some of us perhaps didn’t know could ever be lost - or at least be twisted by the pervasive micro-validations and dopamine drops of Likes and comment counts. But did you truly ever notice a difference following these algorithmic or policy-shifting tweaks? 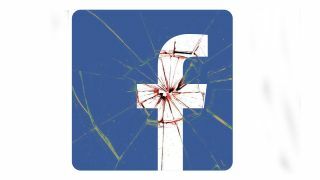 Certainly publishers did – all but the most powerful of Facebook pages have seen their reach decline significantly unless pulling feats of social media engineering gymnastics so wild that Facebook itself could barely anticipate them. That return to discussion, to interaction – was that ever really achieved again? All I see is autoplaying cat videos, and lad Lad LAD culture clips. If Facebook’s built its business on knowing us, it certainly now has a broken image of what I personally want to see, and thus who I truly am. Which is what makes Facebook’s latest admission that something’s not quite right, and the promises that accompany that capitulation, ring so hollow. The company now states that it’s again revising its service, pushing active discussion rather than passively parsed content – a return, in theory at least, to its roots. Facebook’s Adam Mosseri, head of News Feed, described some of the changes it’s anticipating making. “We will predict which posts you might want to interact with your friends about, and show these posts higher in feed,” said Mosseri. We’ve heard all of this before. So what makes this time any different? Perhaps, for the first time, there’s an outside scrutiny that Facebook wants to listen to - and perhaps, a sense of reactionary movement that could be read as defensive as opposed to philanthropic. Whether it’s CEO Mark Zuckerberg’s latent presidential goals driving the PR offensive, or it’s the result of genuine soul searching, some of the accusations that have been levelled at Facebook in the past year seem to have hit harder than those that landed before. Former employees speaking candidly of their fears that they’ve helped create something which damages rather than enriches lives. Also the growing evidence that Facebook was manipulated covertly for dubious political motives on the world stage, influencing elections and referendums, and giving platform to some of the most vile kinds of hate speech and bullying. Zuckerberg and company would have to be truly cold to not be moved by some of the issues being raised. It’s impossible to create a service that can be tailored to the individual idiosyncrasies, fears, loves, anxieties, desires and hopes of all. “We feel a responsibility to make sure our services aren’t just fun to use, but also good for people’s well-being,” said CEO Mark Zuckerberg in a post. There’s a heartening honesty to that last exchange, the admission that the very engagement metrics that Facebook’s whole business model relies upon could be shook to the core. But there’s now an inherent problem of being part of a service, policed and nurtured only by a few thousand employees, that literally serves more than a billion people - it’s impossible to create a service that can be tailored to the individual idiosyncrasies, fears, loves, anxieties, desires and hopes of all. We’ve already seen the damage being caused by things such as ‘fake news’. Facebook has gone some way to remedy this with scores of fact checkers. But it would be remiss to not correlate this latest move with the fact that fewer pieces going up by publishers will mean fewer things to actually fact check, taking away a pain point that Facebook caused in the first place. And that’s perhaps the takeaway lesson - if we can’t trust the filter through which our online relationships are now forced through, perhaps it’s now time to switch off for good. It’s time for less Facebook, and more face-to-face.